“I have experienced some of the best moments of my life wearing the Super Eagles shirt and have memories with me that will last a lifetime,” he said. “However, I feel that now is the right time to step away in order to be able to focus fully on my club career and young family, as well as to allow the next generation the opportunity to step up and to flourish. 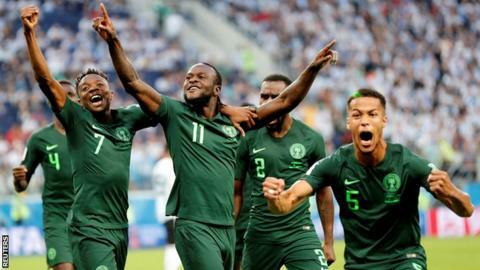 “Thank you for the memories and good luck to the team for the future.” Moses won the Africa Cup of Nations with Nigeria in 2013, and represented the nation at two World Cups, in 2014 and 2018. ← Samuel Eto’o joins Qatar Sports Club….